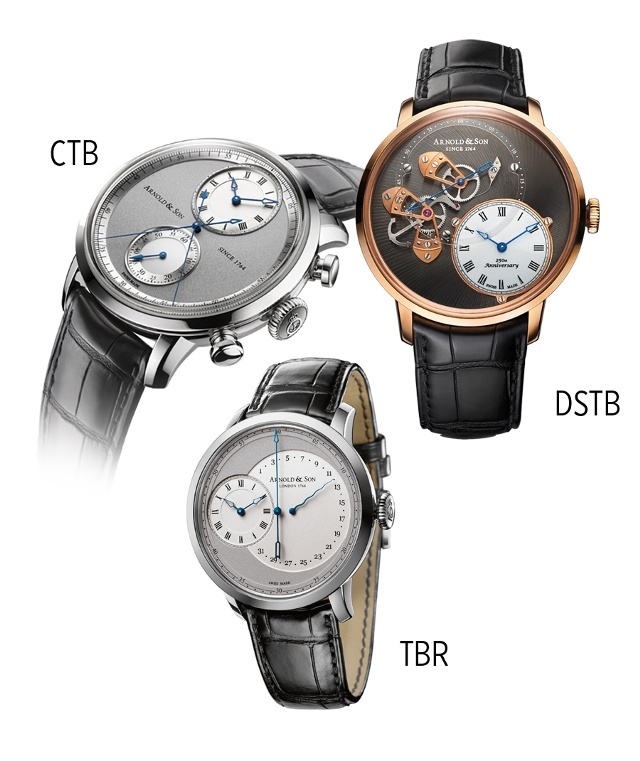 This year, Arnold & Son announced a range of timepieces during BaselWorld including the DSTB – Dial Side True Beat, DTE - Double Tourbillon Escapement Dual Time, CTB – Chronograph True Beat, and the TBR - True Beat Retrograde which are categorized in the Instrument Collection plus the TEC1 – Tourbillon Chronograph in the Royal Collection. Team iW had the chance to sit down with Dr. Sébastien Chaulmontet, Arnold & Son’s head of movement development, to discuss the new BaselWorld introductions and as well as how the spirit of Arnold & Son is incorporated into today’s contemporary collections from the manufacture. Chaulmontet described the vision of Arnold & Son and the importance of taking inspiration, rather than direct interpretation. Basically the way we work is to study what he [the watchmaker] did and we try to take the essence and make something modern. We really try not to copy his work because you cannot copy the master, it is something that would not make sense today and would not feel right.